5/5 rating based on 161 reviews. Read all reviews for Fruit Ninja Classic for iPhone. I bought this app specifically because you were advertising a Ghostbusters version! However it is nowhere to be found! I want my money back!!!! This new updated reset all progress. I was around level 56. And now I'm back to 1? Whats the point of having the game if you're gonna reset our progress? Interesting Weapons! This app could be great! I had 2 iPads to share at times with my younger brother! On the red iPad, it was great! I'm getting really good at this! At the blue iPad, I really don't know if it might download, some of the apps can not work on the blue iPad! I'm kinda Excited this app worked perfectly for me! This is awesome. The star fruit and golden apples are removed, and you can turn your star fruit and golden apples into experience, and get to level 100 for that, but it does NOT effect Fruit Ninja Free. There are a lot of new blades and dojos, and some of the normal dojos do different things. So, it has no in app purchases, but new blades and dojos. Nice! The pause button barely works. It's hard to pause when I want to. This game is great it is so fun to unlock all the blades! But I think they should make a head swipe vr fruit ninja! It could be 180 or 360!! That would be so awesome! Please consider this!!!!!!!! Also I know there is a version for non mobile vr so it would be so awesome for mobile!! This game is so awesome ❤️ halfbrick. 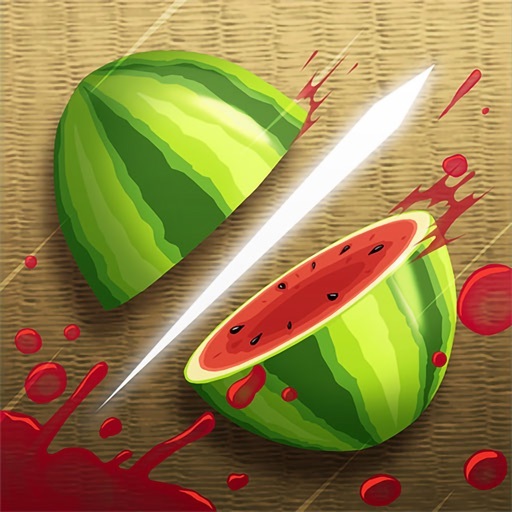 Please make PIB fruit ninja compatible with iOS 11!